The Designer Directory allows you to search for AIGA members by name, location and/or area of practice. An AIGA logo denotes members at the supporting level and above who have agreed to adhere to the AIGA Standards of Professional Practice. *Conditions of use: This Directory shall be used for individual, personal and confidential reference purposes only, and may be used only pursuant to the terms of this license agreement. 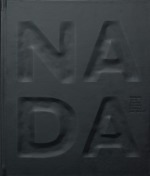 This Directory and its contents are proprietary products of AIGA. The contents of this Directory may not, in whole or in part, be reproduced, copied, disseminated, entered into a computer database, used as part of or in connection with a mailing list, or otherwise utilized, in any form or manner or by any means, except for the user's individual, personal and confidential reference. AIGA actively pursues violations of these conditions. Oops! Sorry, no results were found for that search. Try changing your search to fewer criteria. Make sure you're spelling the name correctly or try a more formal name if you're using a nickname (e.g. Robert vs. Bob) or vice versa. Post a job or internship on AIGA Design Jobs: AIGA members across the country use this job board to look for their next opportunity. Since the search is limited to an audience of potential employees who are deeply committed to their profession, it assures serious responses. And if you’re a Sustaining Member or your company has a group membership, you get a discounted rate on listing job openings with AIGA. Learn more about how and why you should hire a designer. As an AIGA member, you’re entitled to an enhanced personal profile page to help you network, promote your work and build your personal brand.